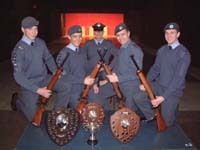 215 Small Arms Competition Training Team have won the No 3 Welsh Wing MK 8 Title for an amazing 10th Year in succession, which has set a new standard in shooting history. 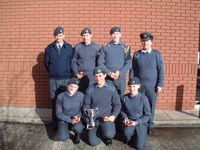 Achieving almost 100 marks more than its nearest rival the team beat teams from Cardigan and Port Talbot to retain the title. 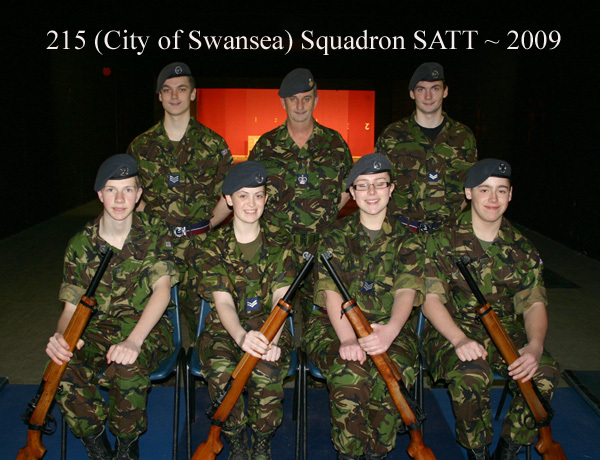 The SATT now travels to RAF Cosford at the end of March to compete against the Best Teams from: No 1 Welsh Wing, No 2 Welsh Wing, Merseyside Wing, West Mercian Wing & Staffordshire Wing. 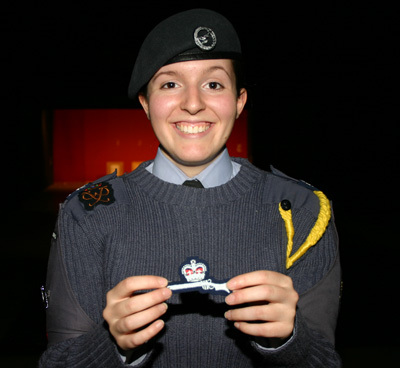 Last year 215 were placed second in the Wales and the West of England Region - its now time to win it back ! 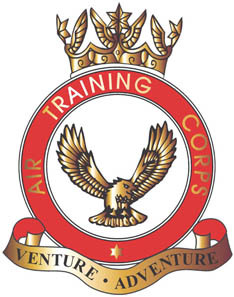 Congratulations to Pilot Officer Barry Garnham, Warrant Officer Steve Hill & Civilian Instructor Chris Roberts for their outstanding commitment and the countless hours they have dedicated to training the Cadet Team. 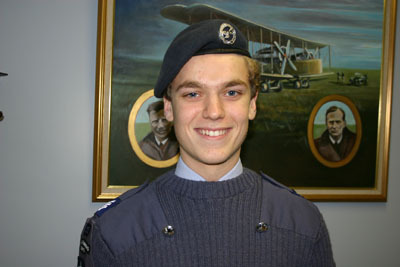 "It's your aptitude, not just your attitude that determines your ultimate altitude." 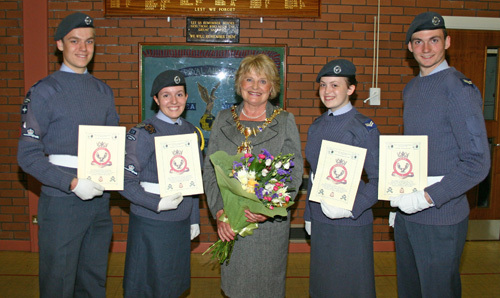 Cpl Myatt, Cpl Brannigan (f) & Cpl Tancock were presented with their Wing Shooting Badges by the High Sheriff, Mr Martin Trainer. 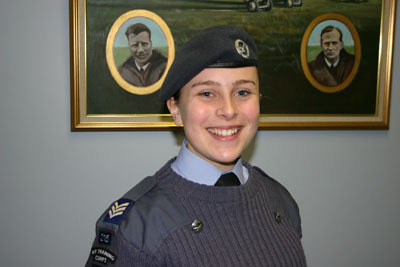 for a staggering 8th year in succession - Another New Standard ! 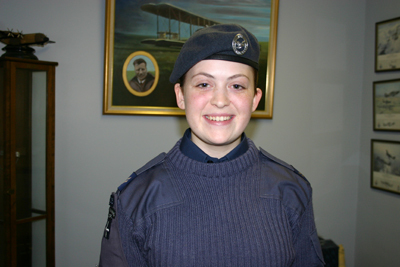 The Cadets will now compete against teams from No 1WW, No 2WW, Merseyside, West Mercia & Staffordshire to try and retain the MK 8 Regional Title, which 215 has also achieved seven years on the trot. 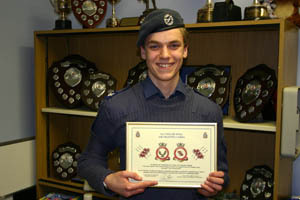 'Best Marksman in the Region Award'. 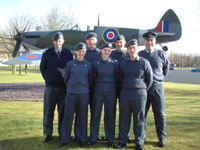 West Mercia Wing and Staffordshire Wing. 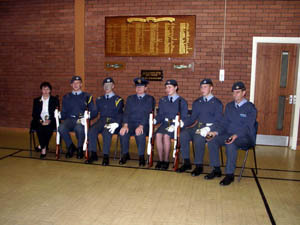 The competition took place at Copthorne Barracks, Shrewsbury on Saturday 14th April 2007. 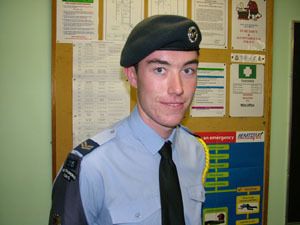 & CI Kyle Fredericks for all their hard work. 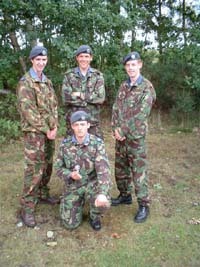 Well done to Cpl Powell, Cpl Jones S, Cpl Jones C (f) and FS Blyth E (f) who represented No 3 Welsh Wing at Bisley for the third consecutive year in July 2005. 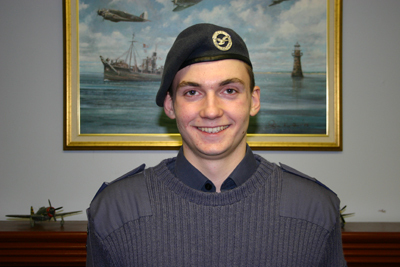 Many congratulations to the shooting coach, WO Steven Hill, who can also boast having won the 'Lees Trophy' on three sperate occasions, once as a cadet and twice as a member of Staff. 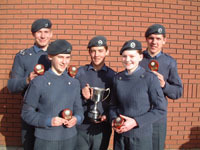 Corporal Catherine Jones (f), Sergeant Timothy Bridges, Corporal Simon Jones, Corporal Adam Powell and Flight Sergeant Emily Blyth (f) have all become the first Cadets in the history of 215 to be awarded medals for the Green Howards Country Life Competition for 2004/2005. 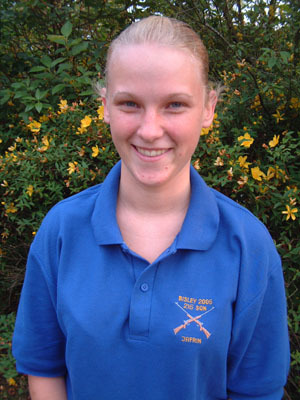 They all received runners up medals after achieving second place in the National Competition. 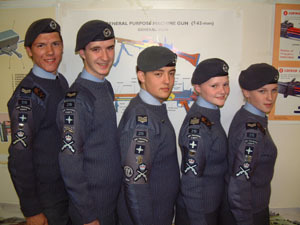 Corporal Adam Powell, Corporal Simon Jones, Sergeant Timothy Bridges, Flight Sergeant Emily Blyth (f) and Corporal Catherine Jones (f), have all become the first Cadets in the history of 215 to be awarded their Air Training Corps Marksman Badges after submitting their targets to the Regional Shooting Officer, Squadron Leader Steve Williams MBE and Headquarters Air Cadets. 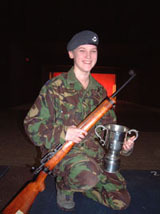 Corporal Catherine Jones (f) has become the first female Cadet and also the youngest Cadet in the history of the Wales and the West of England Region to win the Best Mk 8 Marksman Award, which she achieved in March 2005 at the Inter Wing Shooting Competitions at Copthorne Barracks, Shrewsbury. 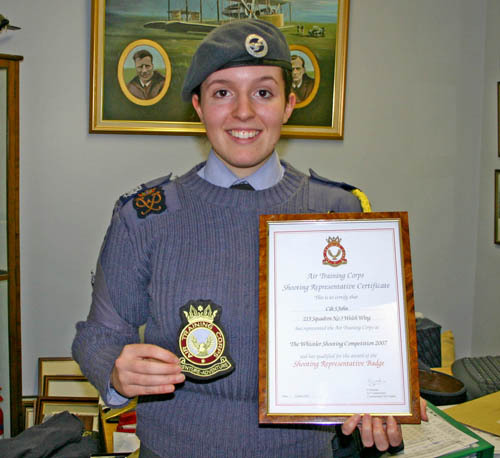 Corporal Jones also holds the No 3 Welsh Wing Best Mk 8 Marksman Award as well as the honour of being the first female Cadet to win this coveted award in the Wings history. 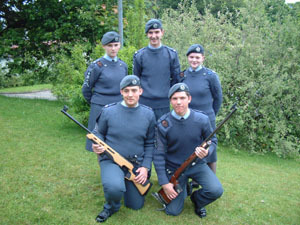 Corporal Simon Jones, Corporal Catherine Jones (f), Flight Sergeant Emily Blyth (f) and Corporal Adam Powell have retained the Wales and West Region Mk 8 Shooting Championship Trophy for a historical third consecutive year at the Inter Wing Shooting Competitions at Copthorne Barracks, Shrewsbury. 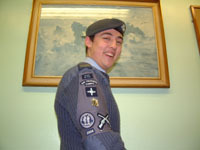 Also pictured is the Squadron's Shooting Officer: Warrant Officer Steven John Hill, who has fostered the shooting ethos within the Unit. 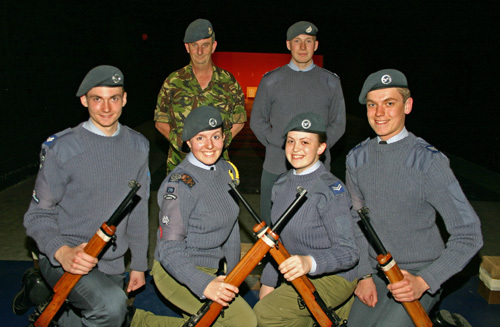 Corporal Simon Jones, Flight Sergeant Emily Blyth (f), Corporal Catherine Jones (f) and Corporal Adam Powell have set new standards within No 3 Welsh Wing by retaining the Mk 8 Shooting Championship Trophy for the fifth consecutive year. 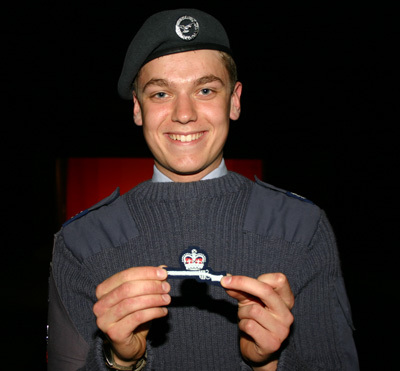 This historical achievement took place at the Inter Squadron Shooting Competition at 215 Squadron Headquarters in February 2005. 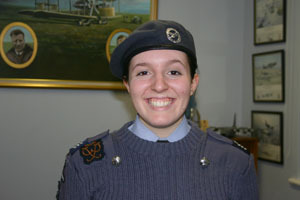 Corporal Catherine Jones (f) also became the first female Cadet in the history of No 3 Welsh Wing to win the coveted Best Mk 8 Marksman Trophy. 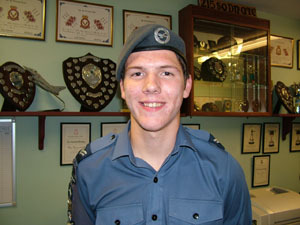 Instructor Sergeant Timothy Bridges has become the first Cadet in the Squadron's History to be awarded a Cadet 100 Marksman, which he achieved at the Cadet Shooting Championships at Bisley in June 2004. 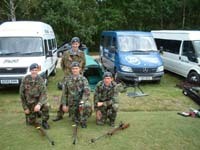 The 215 Shooting Team comprising of Sgt Timothy Bridges, Cpl Adam Powell, Cpl Chris Roberts and Cpl Simon Jones attended the Bisley Shooting Competitions in June 2004, for the second successive year. 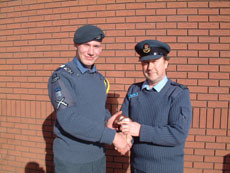 They competed very well with Sergeant Bridges achieving the Squadron's first Cadet 100. 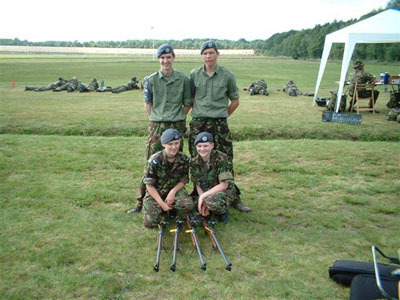 Also pictured is Flight Sergeant Emily Blyth (f) and Corporal Catherine Jones (f) who performed the Butts duties for the Shooting Team whilst competing. 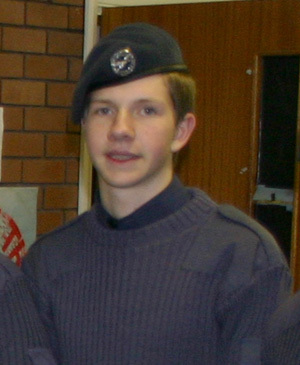 Instructor Cadet Warrant Officer Barry Garnham was awarded the Best Marksman Award for the Wales and the West of England Region at the Inter Wing Shooting Championships in February 2004. 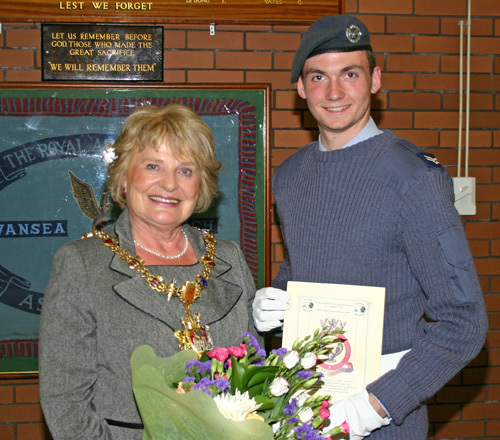 He was presented with his award by Squadron Leader Steve Williams MBE, W & W Shooting Officer. 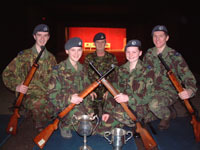 Cadet Warrant Officer Barry Garnham, Sergeant Timothy Bridges, Sergeant Emily Blyth (f), Corporal Catherine Jones (f) and Corporal Adam Powell retained the Wales and West Region Mk 8 Shooting Championship Trophy for a second successive year at the Inter Wing Shooting Competitions at Copthorne Barracks, Shrewsbury in February 2004. 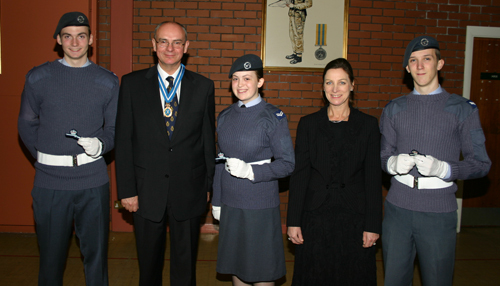 Squadron Leader Steve Williams MBE, W & W Shooting Officer presented the awards to the Cadets. 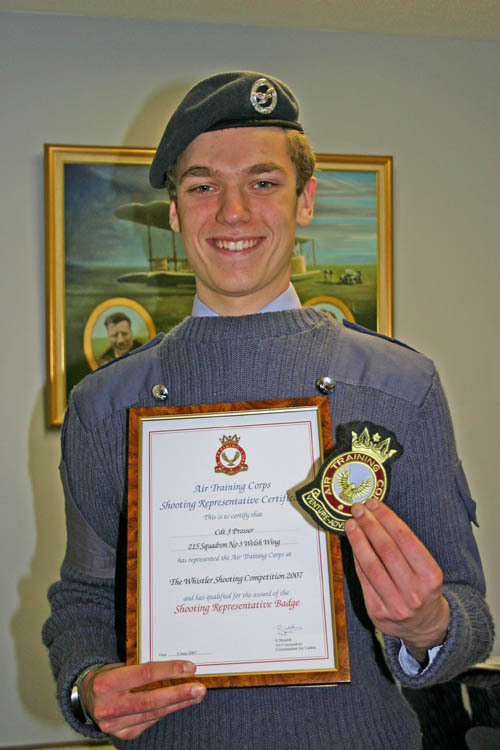 CWO Barry Garnham, Cpl Stephen Gemine, Sgt Timothy Bridges and Flight Sergeant Rhys Francis won the Wales and West Region Mk 8 Shooting Championship Trophy at the Inter Wing Shooting Competitions at Copthorne Barracks, Shrewsbury. 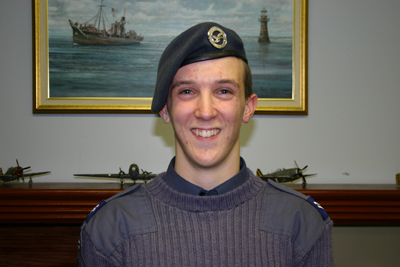 CWO Barry Garnham also won the Best MK 8 Marksman Award for the Wales and West Region. 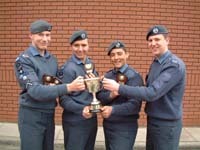 CWO Barry Garnham, Cpl Stephen Gemine, Sgt Timothy Bridges and Flight Sergeant Rhys Francis have set new standards within No 3 Welsh Wing by retaining the Mk 8 Shooting Championship Trophy for the fourth consecutive year. 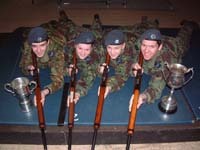 The Inter Squadron Shooting Competition took place at the 215 Squadron Headquarters in February 2003. 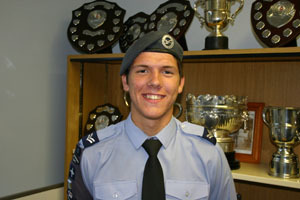 CWO Barry Garnham also won the Best Mk 8 Marksman Trophy. 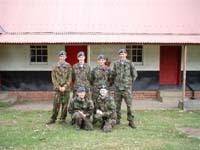 FS Jason Jones are pictured with Wing Commander Lewis, OC No 3WW and the Squadron Coaches, CI Mary Flynn (f) and WO Steven Hill at the Squadron Headquarters after returning from the Wales and West Region Mk 8 Shooting Championships,which were held at Copthorne Barracks, Shrewsbury. 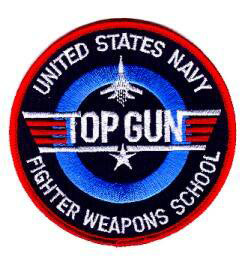 This was the first time in 215's history that this coveted trophy had been won and a very special congratulations is given to the team and their coaches. 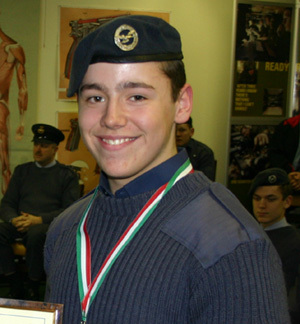 CWO Barry Garnham also won the Best MK 8 Marksman Award for the Wales and West Region.